This post is about sugar. Two things. The first is about why I always write “vegan” sugar in my recipe posts. And the second is what kind of sugar I am using in my recipes now. First, let’s talk about why sugar is not always vegan. It’s because of the process that manufacturers use to whiten white sugar. They use bone char. Yes, that’s right, they char the bones of cattle. According to PETA, “bone char is often referred to as natural carbon and is widely used by the sugar industry as a decolorizing filter which allows the sugar cane to achieve its supposed desirable white color.” It may also be used in brown sugar, confectioners sugar, and other refined sugars. So when buying sugar, especially white processed sugar, check to make sure it says vegan or suitable for vegans. Now to the second part of this post. I use sugar when making desserts like ice cream, sorbet, cakes and cupcakes, brownies, pies and sometimes puddings. It is not extreme but I have been experimenting with a few sugars that actually some beneficial properties. Note: I am not including liquid sweeteners like brown rice syrup, maple syrup and agave nectar as the liquid throws me off when trying to bake or make something that calls for a cup of sugar. But check out one of my favorite cookie recipes from Fran Costigan for Lace Cookies that uses brown rice syrup! 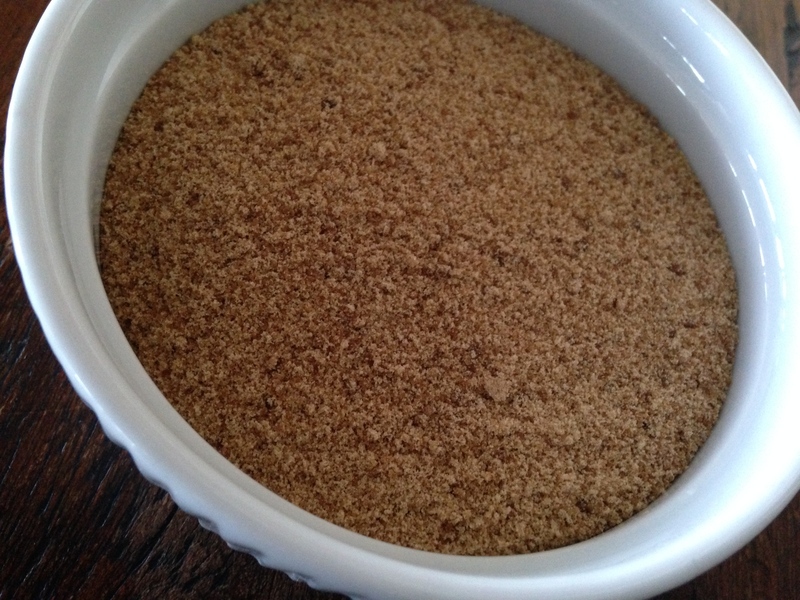 Coconut palm sugar is unrefined, low-glycemic and has a hint of caramel flavor. Coconut palm sugar contains amino acids, potassium, magnesium, zine, iron and B vitamins. And an added bonus, the process of harvesting coconut palm sugar is sustainable and environmentally friendly. Mascobado is pure and unrefined with caramel notes and a hint of vanilla. Mascobado contains potassium, calcium, magnesium and iron. Maple sugar is a great alternative to other sugars but it is super sweet! You only need to use about 1/2 to 3/4 cup in place of 1 cup of cane sugar. I like that these are all unrefined, unprocessed, natural, eco friendly, and especially low-glycemic. And I always buy organic. Now I can enjoy the desserts I make even more! I will say it is challenging for me now to eat desserts that I don’t make because I can literally feel the sugar coursing through my veins. But, then again, I like my cooking the best anyway. What sugar do you use? Would love to hear your thoughts and ideas. I use maple or coconut sugar most of the time. I also have some organic white sugar (not very white) which I presume is vegan, but it doesn’t say so on the package. I always thought it was just icing or confectioner”s sugar which was not vegan, but maybe I was wrong. 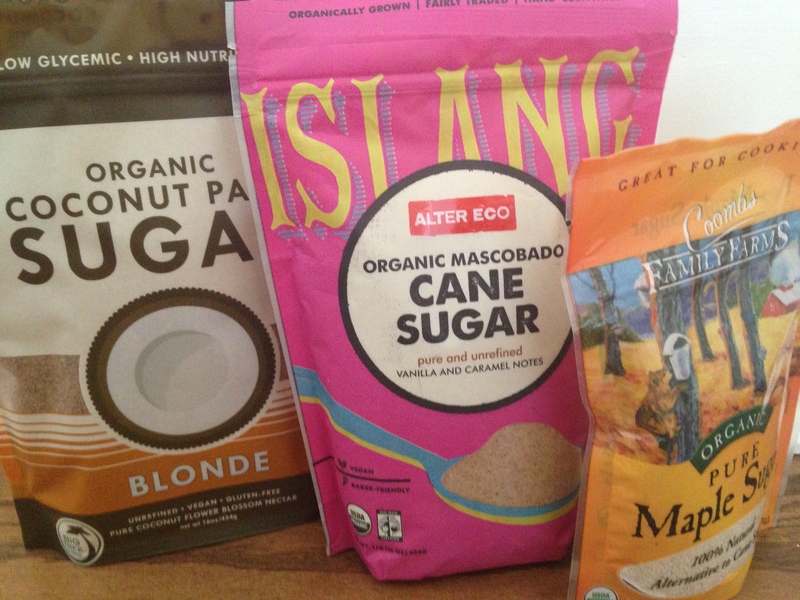 I’ve recently started using coconut sugar. When I don’t use that, I use organic, granulated Turbinado. Having said that, I still try to substitute a portion of any sugar with applesauce when I can. always check the sugar packaging and make sure it says the sugar is vegan or suitable for vegans!